STIHL KM110 power head with bristle brush broom. Excellent for sweeping roads, driveways, exposed aggregate and other hard rough surfaces. Includes 2 cycle fuel mix with rental. 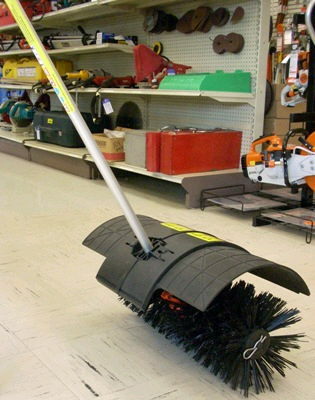 * Please call us with any questions about our sweeper handheld bristle rentals in Burnsville MN, Rosemount MN, Apple Valley, Minneapolis, St Paul, Twin Cities, South Metro,and Dakota County.